We pray that God richly blesses each one of you as you continue your journey through life. It is here on this night of celebration. On an evening where we recognise academic, social, spiritual, emotional and cultural achievement that I want you to remember all the blessings you have received. These blessings, these talents and gifts, bestowed on you by God, have been nurtured by your parents and enhanced throughout your time at Merici College by your teachers, the staff and your friends. And so tonight we take this opportunity to dream of the wonderful future that is awaiting our graduating Year 12 Class of 2018. 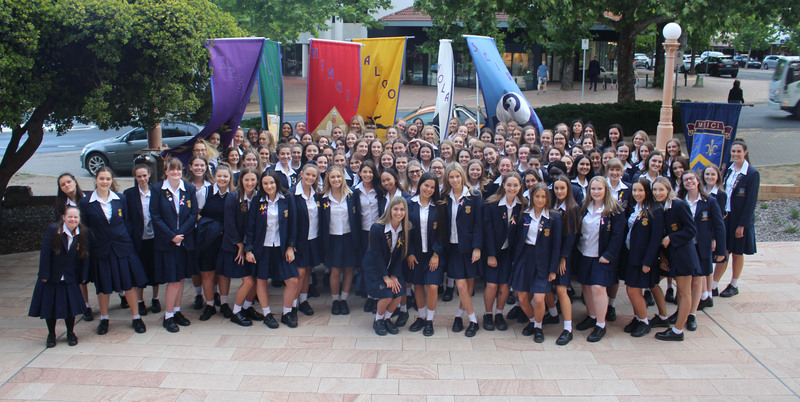 As they move away from the familiar walls of Merici College to new and unknown circumstances they can move forward as Merici women prepared to not just experience their future but to shape it. I am hopeful, that as you venture into the world you will remain, at your core, a Merici Woman, taking with you the values you know and cherish, that have become more than just words, but part of your lives and part of yourselves. You are a special group to me – we started together, 6 years ago. We met when I was heavily pregnant and know how that freaked some of you out. We have a special bond as the first group I have seen from Day 1 to the end. As you walk from Merici College remember your parents or those who have cared for you as parents. They are your first teachers. It is their love that has nurtured you and will continue to nurture you through life’s ups and downs. It is the partnership we have had through these final years that have helped you transform from Merici girls into Merici women. Use God’s gifts to build your character and to find your true vocation in life. You need to choose whether to live your life with integrity or not. Every decision you make should be based on truth and kindness. In the years to come you will have the opportunity to accumulate many treasures: your own money…car…home. Enjoy these treasures, but hold them with open hands, remembering that God has only loaned them to you – and they are meant for sharing with family, friends and those in need. This will bring true happiness. To the class of 2018, I ask for God’s blessings on you as you go forward. We pray that these blessings will help you on your way, to live lives that are a sign of your God’s love and joy. In the words of Pope Benedict XVI —The world may promise you comfort – but you were not made for comfort – you were made for greatness. Keep spreading joy. God Bless you all. We congratulate our Year 12 students on their graduation and academic achievements. 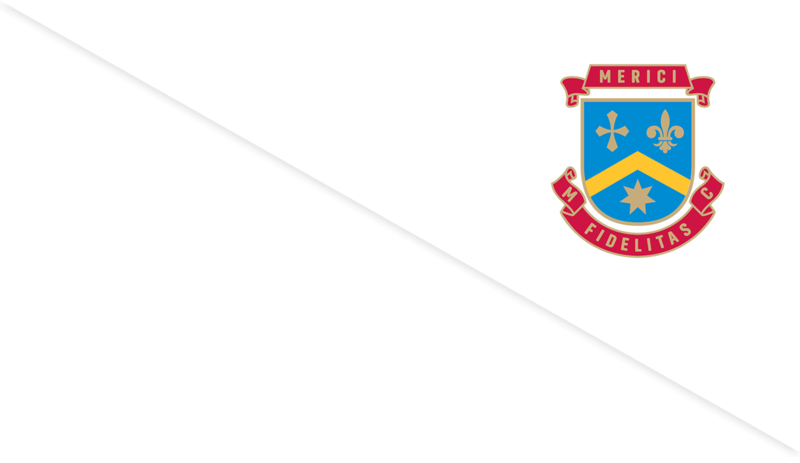 We would like to thank the students for their valuable contribution to the life of Merici College and wish them success and happiness in all their future endeavours. We would like to acknowledge the academic achievements of all our students and congratulate Lauren Paterson Merici College Dux andTahlia Rajic, Proxime Accessit. We would like to take this opportunity of farewelling our families and thank you for all your support over the years. In particular we farewell the Brady and Semmler families who have had a very long association with the College. Both families have 4 daughters and it has been a privilege to witness their journey through the College. It was also very special for our Merici mothers and their daughters (Class of 2018) to participate in the Offertory Procession. We would like to thank Helen Beasley (Class of 1987) and her daughter Caitlin (Class of 2018), Mary Sergi (Class of 1989) and her daughter Antonia, Agatha Pelle (Class of 1988) and her daughter Sofia, Christine Harmey (Class of 1981) and her daughter Elise, Anne Smart (Class of 1980) and her daughter Erin, Kate McManus-Green (Class of 1989) and her daughter Maddison (images in gallery below).